For a Complete List of Upgrades Please contact the Agent. 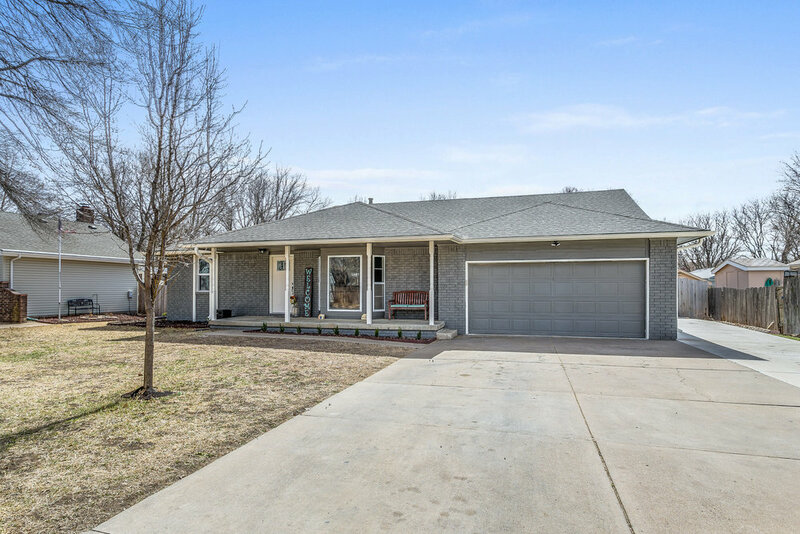 Updated 4 Bed 3 Bath Derby Ranch. Main floor Formal Living and Dining, Large Kitchen with stainless steel appliances open to Family Eating Area and Cozy Hearth Room, Master Bedroom Suite with its own bath and his and her closets. Two More bedrooms and a family bath with dual vanities finish out the main floor. In the finished basement you will find a huge family/rec room with 2nd Fireplace, Laundry room with utility sink, 4th bedroom and 3rd bathroom, and a giant storage or bonus room. Fenced backyard, in-ground pool with new liner, and covered patio. So many updates including new kitchen counters and back splash, nearly new appliances, new flooring in kitchen, new bath vanities, new siding and exterior paint, new 3 car concrete pad widening driveway, new pool liner, new trim on main level, many new windows, new sliding glass door, new plumbing under all sinks, and the list goes on... Schedule your showing now!